There is no minimum balance to open a Health Savings Account. 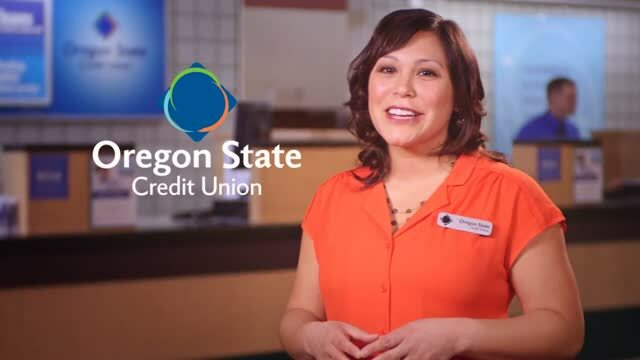 This disclosure includes Truth in Savings information and certain transaction information regarding your Oregon State Credit Union HSA. Terms and conditions set forth in the Oregon State Credit Union Membership and Account Agreement, Electronic Fund Transfer Agreement and Disclosure, and Account Rate and Fee Schedule also apply to the HSA account. The Dividend Rate and Annual Percentage Yield may change monthly as determined by the Board of Directors. The Annual Percentage Yield is a percentage rate that reflects the total amount of dividends to be paid on an account based on the dividend rate and frequency of compounding for an annual period. Accounts closed prior to crediting dividends will not receive accrued dividends. Your Member Merits category may effect the rate you receive. For members in the Essential category, no dividends will be paid; for members in the Enhanced and Premier categories the dividend rate and Annual Percentage Yield are set forth in the Rates and Fees page. The dividend rate and Annual Percentage Yield for the next month is based upon your Member Merit status on the last day of the previous month. Dividends are paid from current income and available earnings after required transfers to reserves at the end of the dividend period. The Dividend Rate and Annual Percentage Yield set forth in the Account Rate and Fee Schedule are the prospective rates that the Credit Union anticipates paying for the dividend period. The dividend period begins on the first calendar day of the month and ends on the last calendar day of the month. Dividends begin to accrue on cash and noncash (e.g., checks) deposits on the business day you make the deposit to your account. Dividends are compounded and credited monthly. Dividends are calculated by the daily balance method, which applies a daily periodic rate to the principal in the account each day. The average daily balance is determined by adding the full amount of principal in the account for each day of the period and dividing that figure by the number of days in the period. There is no minimum opening balance required on Health Savings Accounts. All transactions posted to the Health Savings Account made by online banking or any other electronic transaction will be reported to the IRS as current year, normal distributions or regular contributions. Any request for a Prior Year Contribution, Direct Transfer or Rollover of HSAs or Archer Medical Savings Account funds must be made in writing to an OSU Federal representative, either in person or through the mail. It is the member’s responsibility to know if he/she qualifies for an HSA and to use the funds for qualified medical expenses. The member should refer to a tax professional for specific tax implications. Deposits/contributions may be made by teller, mail deposit, direct deposit, night deposit box, automated clearinghouse (ACH), or automatic transfer. Withdrawals may be made at a branch, over the phone, via PAT, online banking, debit card, or ATM. We permit you to access your HSA with a debit card. This service is offered for the convenience of managing your HSA. You may use your debit card to purchase goods and services any place your Card is honored by participating merchants. Funds to cover your debit card purchases will be deducted from your HSA. A debit card purchase may not be authorized if the amount of purchase exceeds the available balance in your account at the time the authorization is requested. If the balance in your account is not sufficient to pay the transaction amount, your account will be subject to a charge as set forth in the Account Rate and Fee Schedule, and the Credit Union may terminate all services under this Agreement. If an overdraft is created, you agree to repay it immediately. Except as otherwise set forth herein, HSA debit card transactions are subject to the terms and conditions of the Oregon State Credit Union Electronic Fund Transfer Agreement and Disclosure. Each Health Savings account holder agrees to the terms set forth on this Account Rate Schedule and acknowledges that it and the Health Savings Account Truth in Savings Disclosure are part of the Membership and Account Agreement.